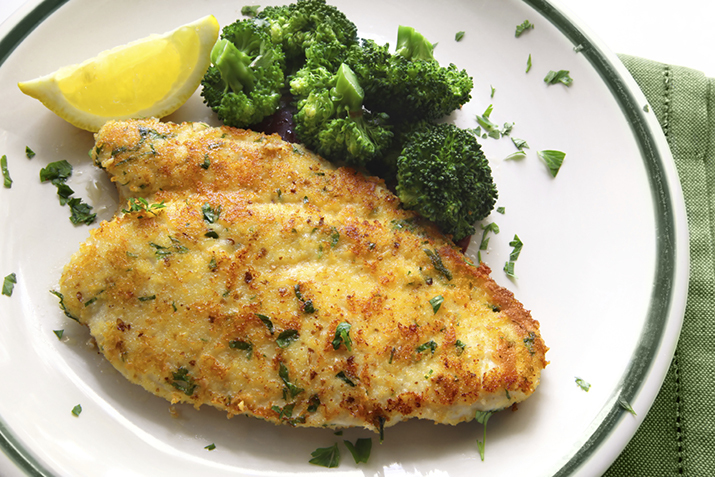 Show your love this Valentine’s Day by cooking up a romantic meal for your sweetie. Single? Go the self-love route and make a fabulous feast all for yourself. 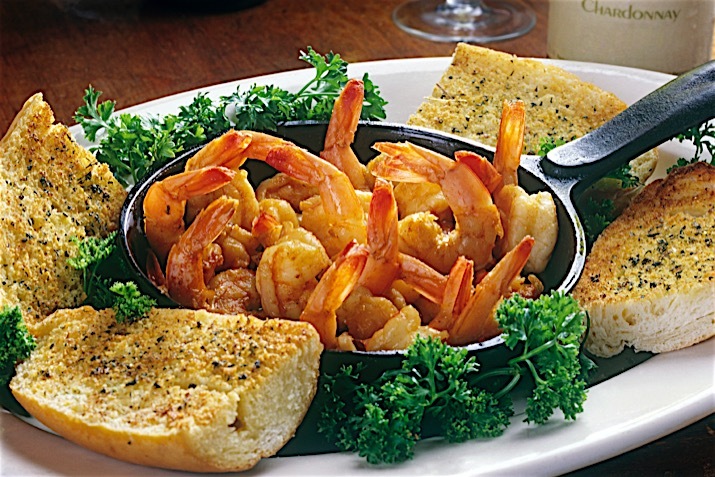 Here are 20 romantic recipes for the perfect Valentine’s Day dinner! 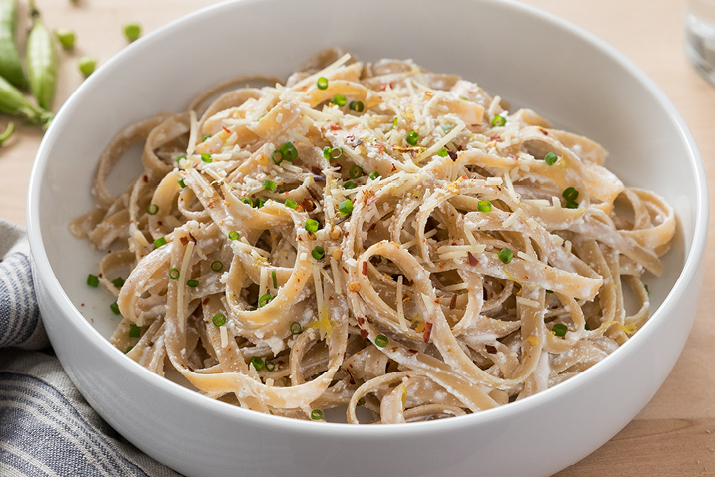 This simple, spectacular lemony pasta takes just 20 minutes to prepare. 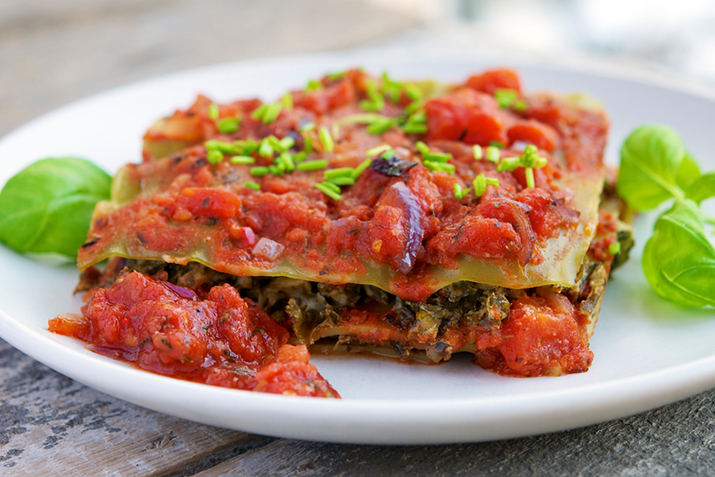 Vegans love lasagna, too. This is a perfect place to discover how tofu can stand in for ricotta cheese, with delicious results. 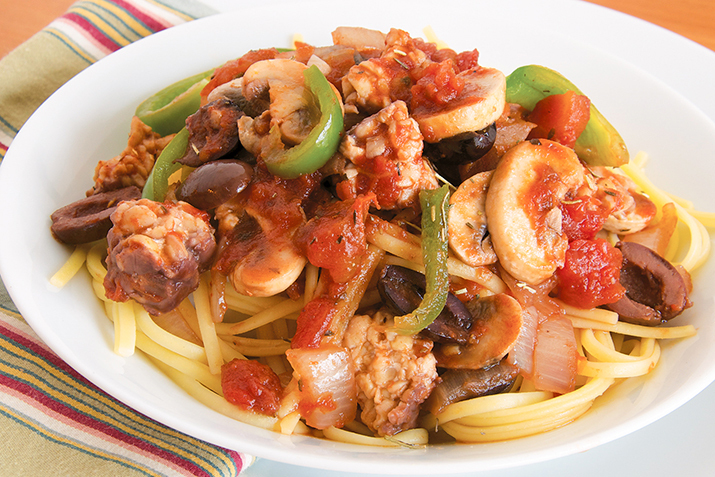 The tomato sauce has a little kick from chiles which balances the assertive flavor of all the healthy greens in the dish. Risotto is all about the rice and the stirring. 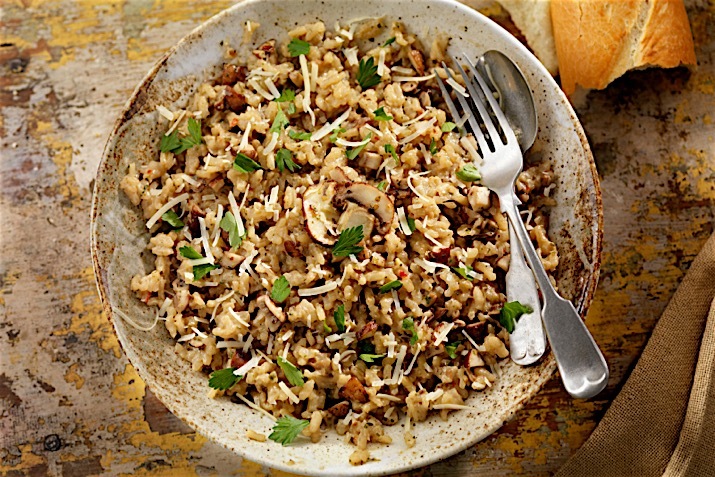 Arborio is a short grain rice that makes its own sauce by giving off starch as it simmers in tasty stock. Cream adds a little richness to the dish, and a pile of earthy, meaty, seared mushrooms play off risotto’s delightful creaminess. 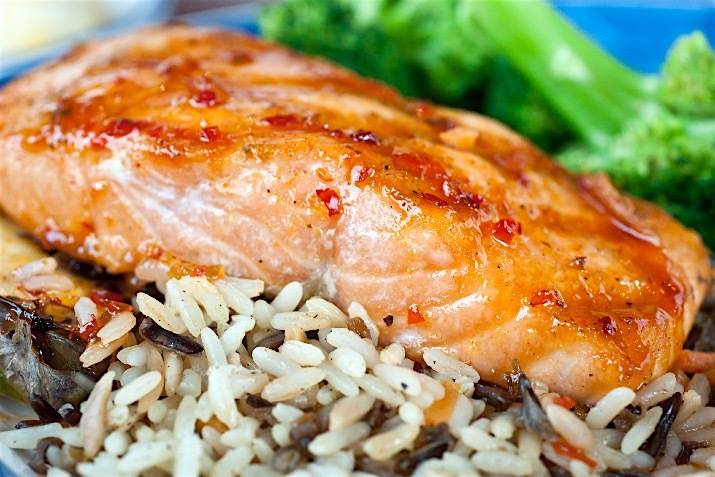 Sweet and tangy sauce dresses up salmon fillets in this quick and easy recipe. 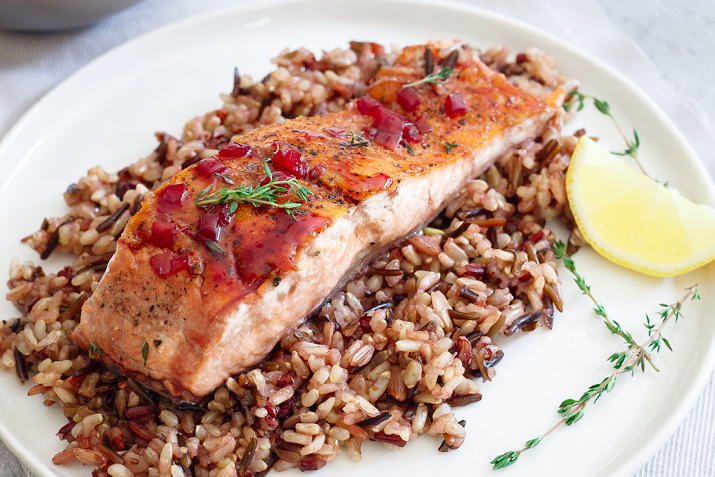 Pink salmon with a deep ruby red glaze is as beautiful as it is delicious. 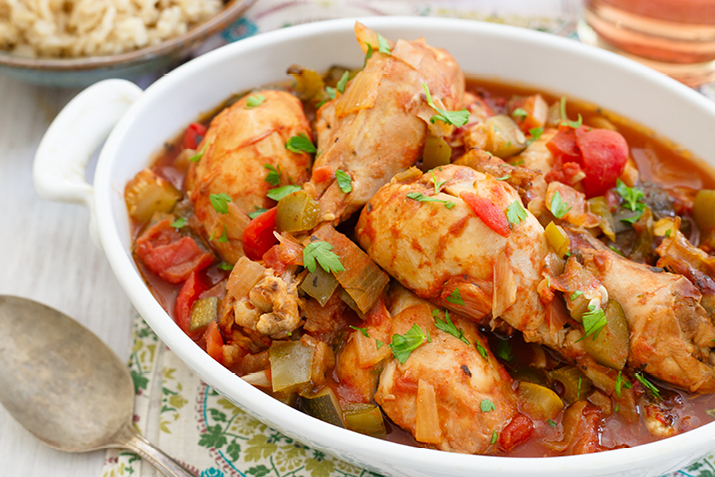 Chicken cacciatore is Italian for “hunter’s chicken,” and it’s a classic, simple way to prepare poultry. This version has added vegetables and makes use of inexpensive leg pieces, which stew to tender perfection in the slow-cooker. Serving the flavorful sauce over brown rice stretches the meat, and makes use of every drop of chickeny goodness. 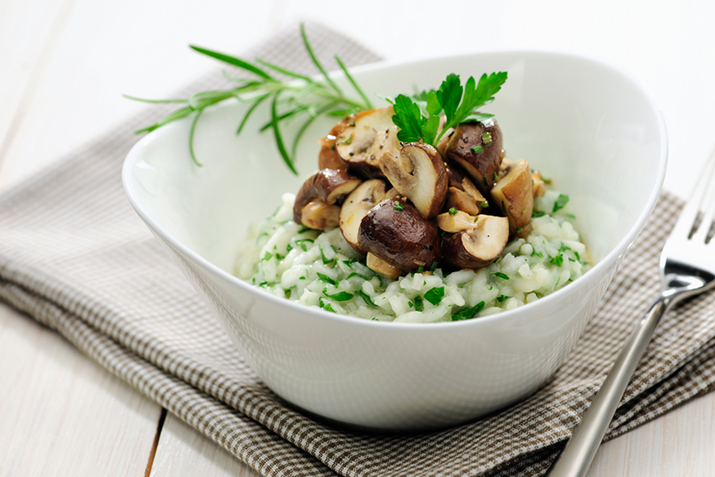 Dried mushrooms boost the meaty, mushroomy qualities of this hearty risotto. Make this with vegetable stock and it can be a vegetarian dish, or use chicken stock and add some cooked chicken for a main course. This Mediterranean-inspired vegetarian stew is delicious with whole wheat spaghetti, linguini or polenta. It only takes one skillet to make this restaurant-worthy pan-seared steak recipe with creamy caramelized onion and blue cheese sauce. Marsala is a deeply flavorful wine, and combined with meaty-tasting mushrooms, makes a sauce that deserves to be in your canon of recipes. 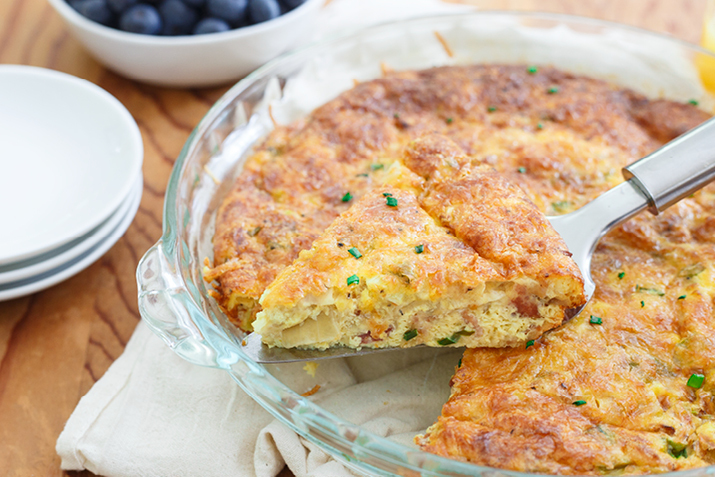 It’s also versatile, and makes a great topper for beef, turkey, even tofu or tempeh. 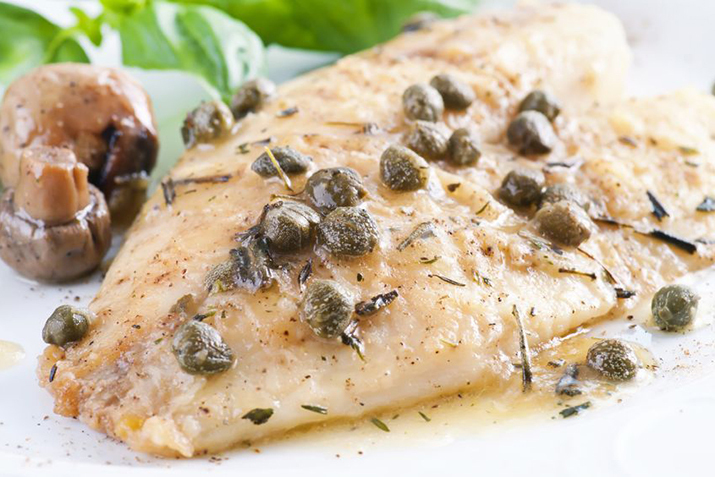 In the classic French tradition, you will build this flavorful sauce in the pan by first reducing wine and lemon, then using it to deglaze the browned bits of fish. Whisking in butter forms an emulsified sauce that is best eaten immediately—which is easy to do, since the sauce is so incredibly delicious! 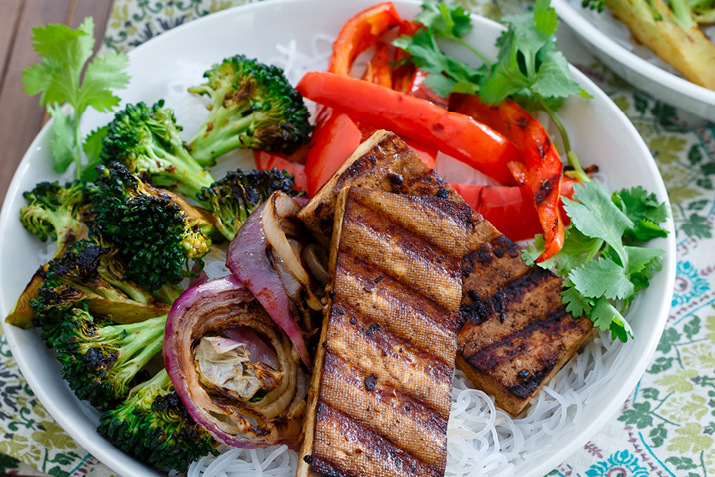 This easy, aromatic, smoky tofu and broccoli relies on a simple marinade to deliver big on flavor. 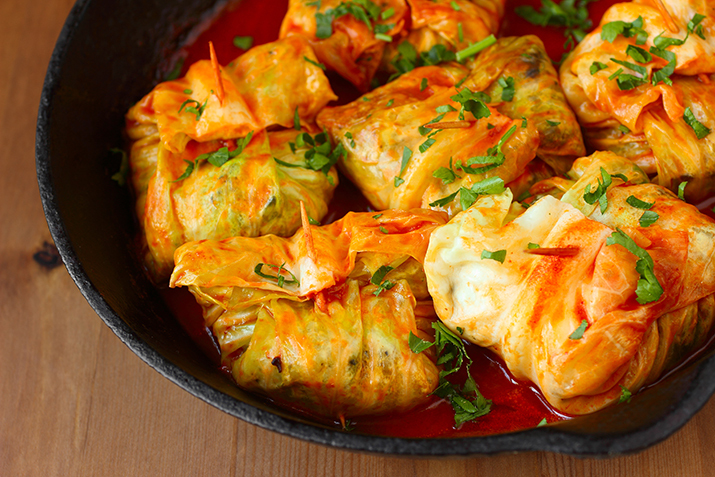 The nutty, earthy flavor of buckwheat and almonds makes a perfect filling for these vegetarian cabbage rolls, drenched in tangy tomato sauce. 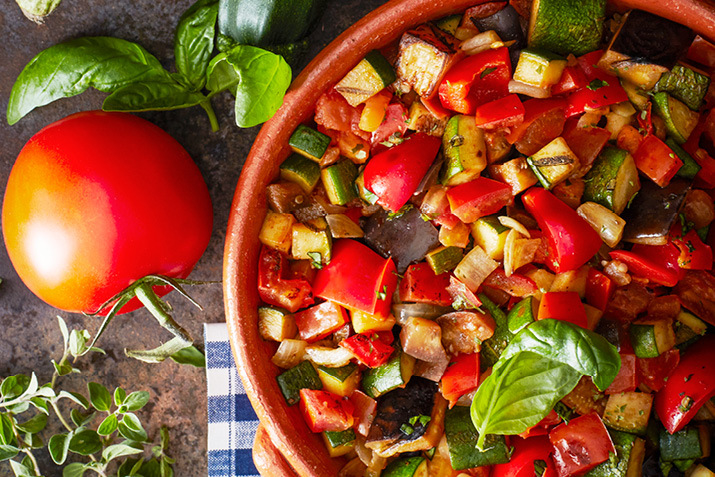 This fresh, garlicky vegan ratatouille is delicious with couscous or brown rice. 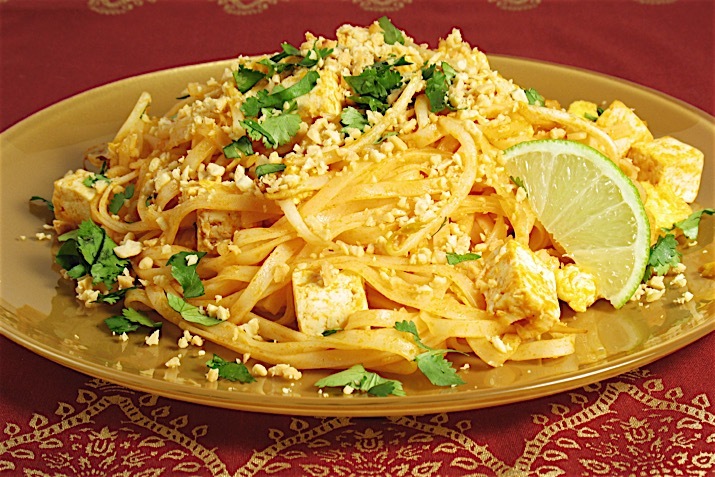 Easily the favorite Thai dish in the United States, Pad Thai is simple to make and always delicious!